Memories drift through the cool, sometimes hot night air in Landmark Community Theatre's intimate, evocative staging of Tennessee Williams' "The Glass Menagerie," wondrously directed by Donato D'Albis. Here, the distinct tragedy of characters trapped in a void of claustrophobic memory, bare their souls, unashamedly before us, capturing the beauty, the prose and shimmering poetry of one of Williams' greatest stage plays. 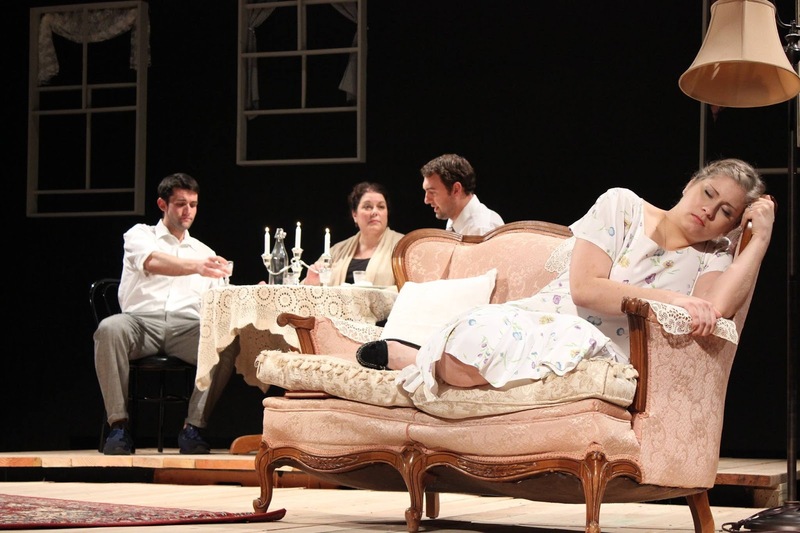 D'Albis, the director of last season's brilliant "Gidion's Knot" at Landmark, is obviously the right choice for this evocative staging of "The Glass Menagerie." An actor himself, he seamlessly connects with the material, its lyricism, its haunting gazes, remembrances, detours, arguments, memory, heartache, whimsy and more importantly, its tragedy. Scene by scene, moment by moment, he allows the material to speak for itself through his four-member cast in ways that connect directly and only to you as if you are the only member in the entire audience. 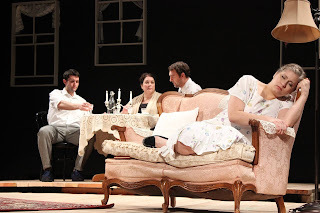 That, in itself, is a difficult feat to pull off, but in doing so D'Albis allows "The Glass Menagerie" to ignite its spark, get under your skin, make you smile, cringe, laugh, shed a tear and moreover, leave you emotionally shaken at the play's tragic conclusion. 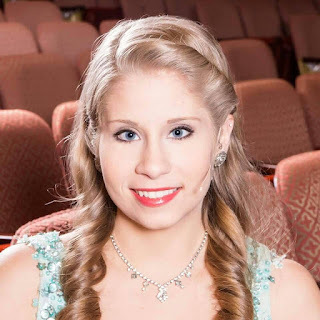 As Amanda Wingfield, a role that seems tailor-made for the immensely talented Lucia Dressel, the actress stands tall on the Thomaston Opera House stage, proudly playing one of Williams' iconic stage characters, savoring each moment of the wonderful dialogue, characterization, and stage interaction that befalls her. You can't take your eyes off her. Her Amanda, is an inspiring mix of a once proud Southern belle and desperate, clinging mother who has been damaged my misguided choices, single parenthood and motivations not always in her control. Under D'Albis watchful eye, she creates such a mesmerizing character portrait, if Williams were alive today, he, no doubt, would stand up and cheer. 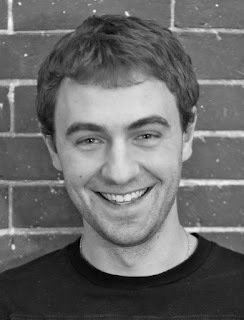 In the role of Tom Wingfield, Chet Ostroski naturally conveys the complicated rhythms, nuances, desires and secrets of the dutiful yet damaged son and survivor ready to unravel and explode at any moment. As the play's narrator, a sort of Shakespeare-in-waiting, he assuredly transports the audience into his world of regretful nostalgia with just the right amount of edge, drama, willingness and desperation. It's a performance that lingers and one, you're not likely to forget. Just brilliant. 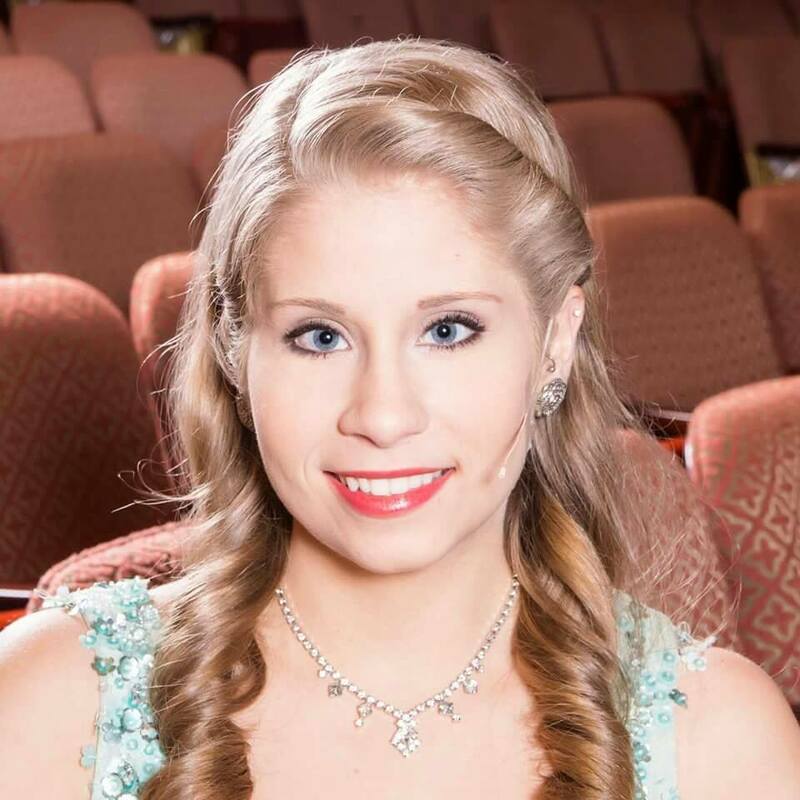 Nicole Thomas plays the part of the handicapped Laura Wingfield as an outcast, who hides in the shadows of her not-so-wonderful life so believably and honestly, you never once think for a moment, she is acting. Given the wealth of material before her, she willingly embraces it, makes it her own and makes us fully understand Laura's insecurity, her wide-eyes dreams, school girl crushes and fear of life in an outside world she hides from daily. Matt Albert brings the right look, mindset, charm, charisma and dash to the part of Jim O'Connor, the "Gentleman Caller," of Williams' memory play. 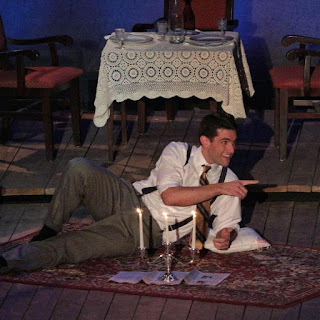 He not only looks as if he stepped right out of the late 1930's (the play's setting), but so believably connects with the part of a young man anxious to connect with his golden youth, you'd swear Williams had Albert in mind when he created the character on paper. 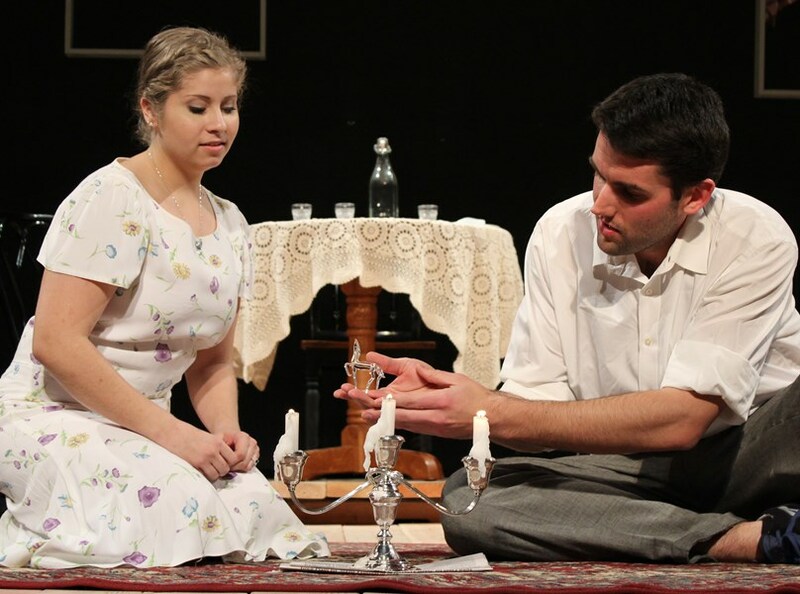 In "The Glass Menagerie," the "Gentleman Caller" appears only in the second act. Tom, goaded by his mother to bring a suitable young man home to meet and perhaps "court" his wide-eyed, insecure sister, is also revealed to be Laura's schooldays' crush and hero. Their encounter, their conversation, their connection and their dance, is so beautifully and delicately staged by D'Albis, one is forced to believe, if only for a moment that Jim O'Connor is the ray of hope the Wingfield family hopes for, before the glass finally breaks and shatters. Watching Albert engagingly interact with Thomas, you sit there on the edge of your seat unable to move, almost holding your breath as D'Albis guides you through what seems to be a possible courtship for Laura. Williams' spellbinding, often poetic dialogue is beautifully engaged by Albert and Thomas who never once miss a beat with D'Albis at the helm. 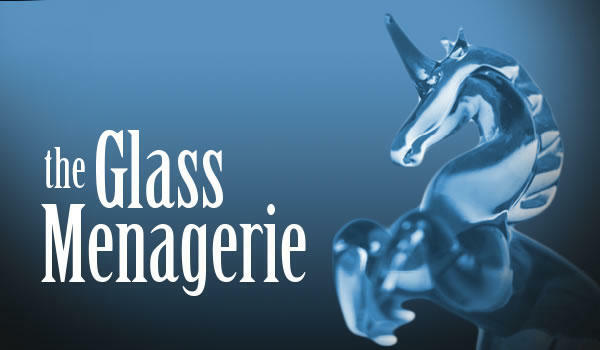 "The Glass Menagerie" is one of the best productions of the 2016 theater season. You leave the Thomaston Opera House knowing you have just witnessed a deeply rendered, classic theatrical masterpiece. I, for one, can't wait to see it again. 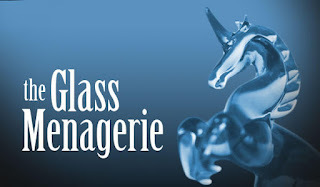 The Landmark Community Theatre production of "The Glass Menagerie" is being staged at the Thomaston Opera House (158 Main St., Thomaston, CT). It runs through March 13. Performances are 2 p.m. March 6 and 13. and 8 p.m. March 4, 5, 11 and 12. 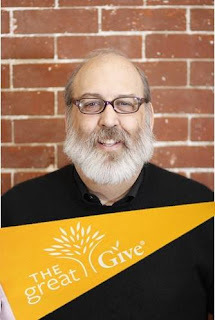 For more information, call (860) 283-6250. WOW! Thank you so very much. Your review is so thorough and well written. It was such a pleasure to work with the Backyard Theater Ensemble;they are a lovely group. Thanks again and very much appreciated.